Areas of Expertise: Corporate Law; Commercial Law; Banking Law; Data Protection Law, International Commercial Law; Banking Law; Insurance Law; Financial Instruments Law; Real Estate Law; Insolvency Law; Sports Law; Law of the Economic Crimes; Competition Law; Aviation Law; Agency and Distribution Contract Law; Leasing, Factoring and Franchising; Foreign Investments; Cross Border Mergers and Acquisitions; Commercial Arbitration; Intellectual Property Law; Trade Marks; Public Procurement and tenders; Liquidation procedures; Private International Law; Tourism and investments Law, cross-border disputes, medical disputes. Education: BSc, Section of Political and Economic Sciences, Panteion University, Athens, Greece (1984). LL.B, University of Thrace, Law School (1988). Institut Européen des Hautes Etudes Internationales’, Nice, European Union Law (1985). LL.M in Public and Private International Law, University of Nice, France (1984-1986). Secretary General of the Greek Ministry of Justice, Transparency and Human Rights, (July 2011 – February 2015). President of the Board of Directors of the “Judicial Buildings Financing Fund’’ (TAHDIK). President of the Pardons Council at the Ministry of Justice, Transparency and Human Rights. Supervisor and Coordinator of the Legislative Working Groups on the reform of the civil, criminal and administrative procedure established at the Ministry of Justice, Transparency and Human Rights, introducing legal provisions in Greek Law No. 4055/2012 “Fair Trial and its reasonable duration”. Member of the Inter-Ministerial Committee established within the Ministry of Finance for the National Action Plan against tax evasion for the years 2012-2014. Head of ODISSEE – Justice, the Committee for the Management of the Strategic Planning and Supervision of Information and Communication Technology (ICT) undertaking Projects within the competence of the Ministry of Justice, Transparency and Human Rights (E-justice Projects). Head of the Ministerial Committee for the implementation of the actions of the Ministry of Justice, Transparency and Human Rights within the framework of the Economic Adjustment Program for Greece (i. Memorandum of Understanding on Specific Economic Policy Conditionality – MoU and ii. Memorandum of Economic & Financial Policies – MEFP). Head of the Ministerial Committee for the implementation of the actions of Technical Assistance within the framework of the cooperation of the Ministry of Justice, Transparency and Human Rights with the Task Force for Greece (TFGR) of the European Commission in relation with the MoU and MEFP requirements and the projects funded by the National Strategic Reference Framework (NSRF 2007 – 2013). Chairman of the Legislative Drafting Working Committee for the elaboration of the draft law for the formation of the compulsory internal appeal legal regime, established at the Ministry of Justice, Transparency and Human Rights. Chairman of the Working Group on the digitization of the land registries’ and notary offices’ operations. Chairman of the implementation group for the restructuring and reformative actions of the Governmental Reformation Council regarding the Ministry of Justice, Transparency and Human Rights. Chairman of the Working Group pertaining the coordination of the national actions to be undertaken under the European Council Taskforce initiatives for e-law/e-justice. 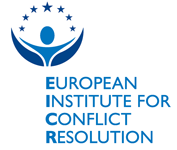 National representative at the European Council Taskforce for e-law/e-justice. Co-Chairman of said Taskforce during the Greek Presidency of the Council of the European Union. President of the Steering Committee for the Promotion of Mediation. Member of the Expert Team supporting the Governmental Council for the Private Debt Management (established by Greek Law No. 4224/2013). Coordination of actions for the study and reformation of the civil and commercial insolvency legal framework. Representative of the Ministry of Justice, Transparency and Human Rights within the Anticorruption Steering Committee. Regular Representative of the Ministry of Justice, Transparency and Human Rights within the Board of Directors of the European Public Law Organization. Supervisor and Coordinator of the Ministerial Representatives at the European Council within the editing of the new data protection regulation (GDPR). President of the Greek National Tourism Organization (G.N.T.O.) (December 2009 – July 2011). President of the Greek Crisis Management Committee (2010 – 2011). Member of the committee for the organization of the Special Olympics (2011). 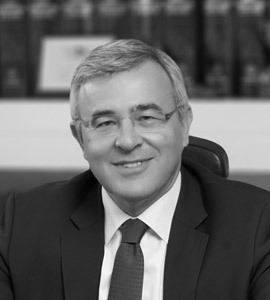 Vice President of the Greek Law Firms Association (September 2010 – July 2011). Member of the Board of Directors of the Athens Bar Association (1999 – 2011). Candidate for the presidency of the Athens Bar Association (2008). Member and rapporteur of the Legislative Committee for the institution of Mediation. Member and rapporteur of the Committee of Athens Bar Association for the drafting of Greek Presidential Decree 81/2005 (concerning Law Firms). Member of the Greek Anti-Money Laundering Committee. Member of the Disciplinary Committee of Athens Bar Association. Member of the Real Estate Registry Committee of Athens Bar Association. Member of the Greek Delegation at the Balkan Bar Association (UBBA). Member of the Black Sea Countries Bars Association. Member of the International Affairs Committee of Athens Bar Association. Co-founder and President of the Union of Trainee and Young Lawyers of Athens (1989-1990). The Institute for Justice and Growth Series (EPLO), volume I, April-June 2016 ‘’Law as a pillar of growth’’. Of ‘’DIKAIORAMA” Legal Magazine (quarterly edition) and “Dikaiorama News” fortnightly legal electronic newsletter (www.dikaiorama.gr) (December 2004-March 2010). Several press articles regarding justice and political issues, as well as tourism policy matters.